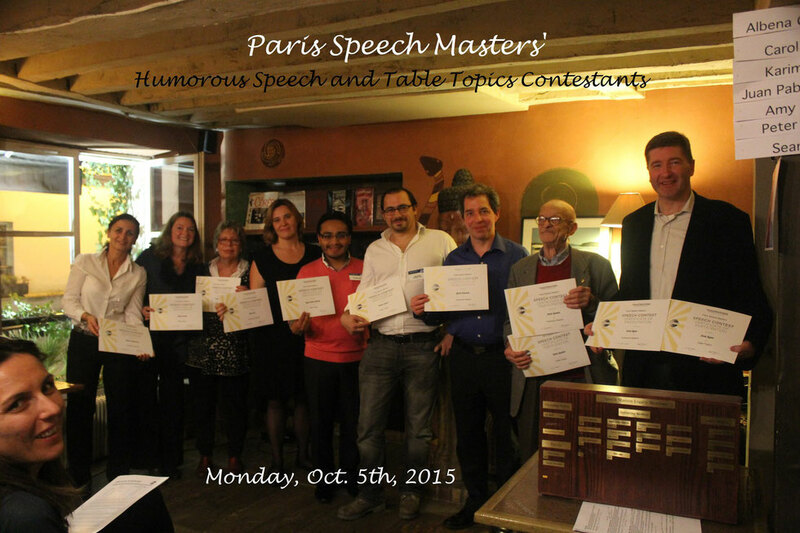 As most of you know, the Paris Speech Masters have been busy preparing the Humorous Speech & Table Topics Contest which took place tonight. We had a fantastic turnout! 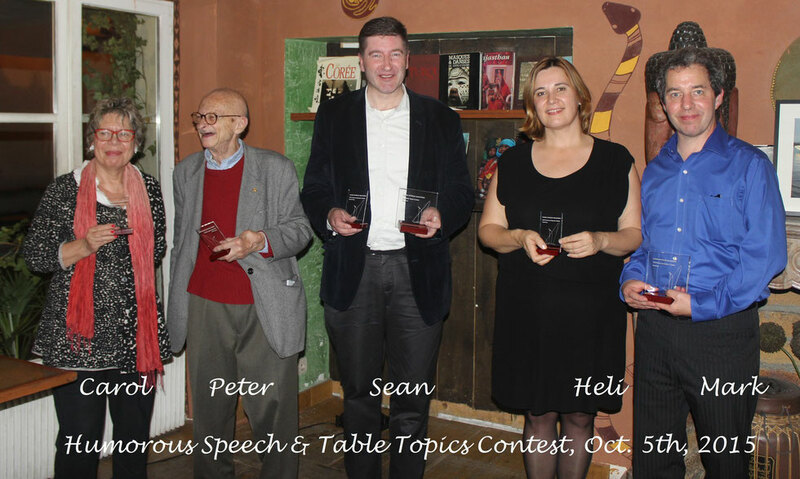 If you weren't able to join us, let us announce the winners for you. Congratulations go out to all the other contestants for showing their courage as well! As you know, the 1st and 2nd place winners will go on to compete in the AREA contest and then hopefully the DIVISION, and then even the DISTRICT contest. Keep your fingers crossed! We hope you will be able to join us for at least one, if not both, of these exciting events! A big THANK YOU to everyone who participated and joined in the fun! And a special thank you to our newest member, Gabriella, who may just become our club photographer!! I just love this entry! Thanks for sharing the pictures!